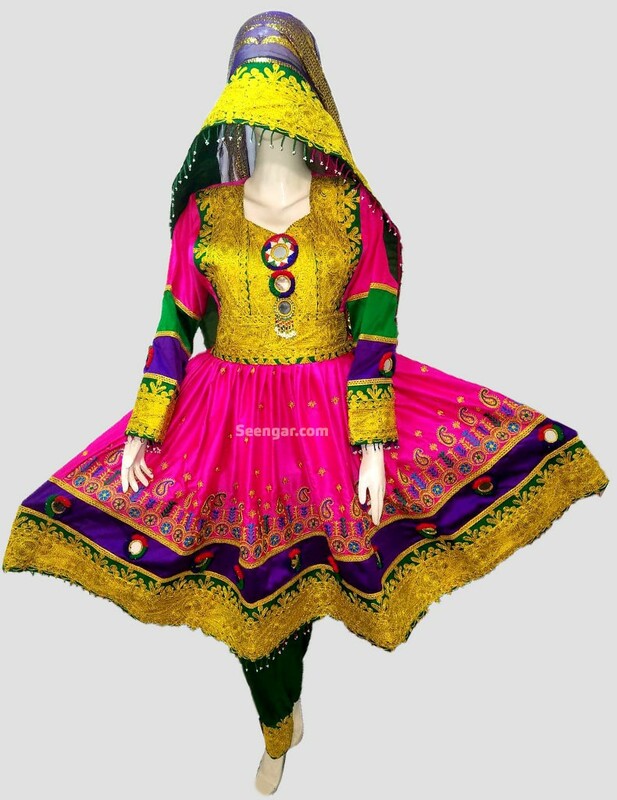 The gorgeous pink and yellow colors featured in the dress is what allows the dress to stand out. 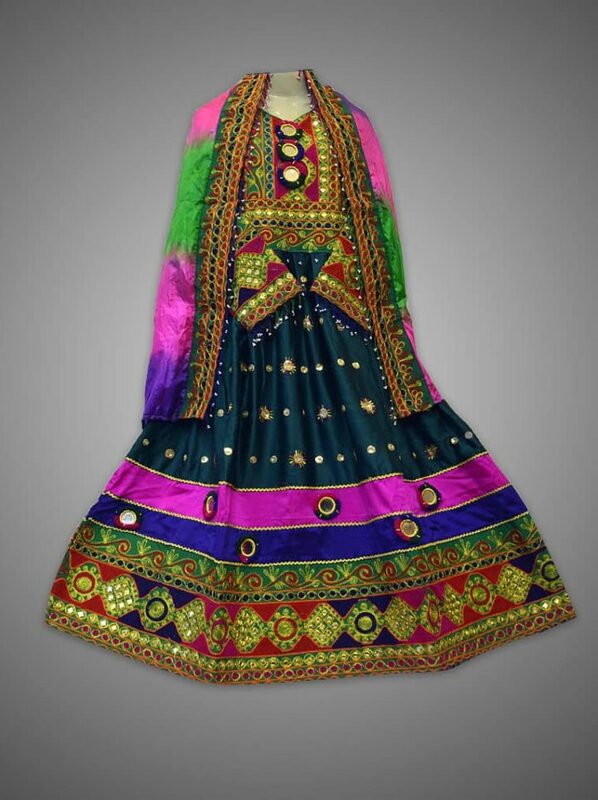 The beautiful colors are paired with flawless thread and mirror work, that really highlights the Afghan culture. Allowing you a chance to enjoy a stunning, and unique piece for a special event. 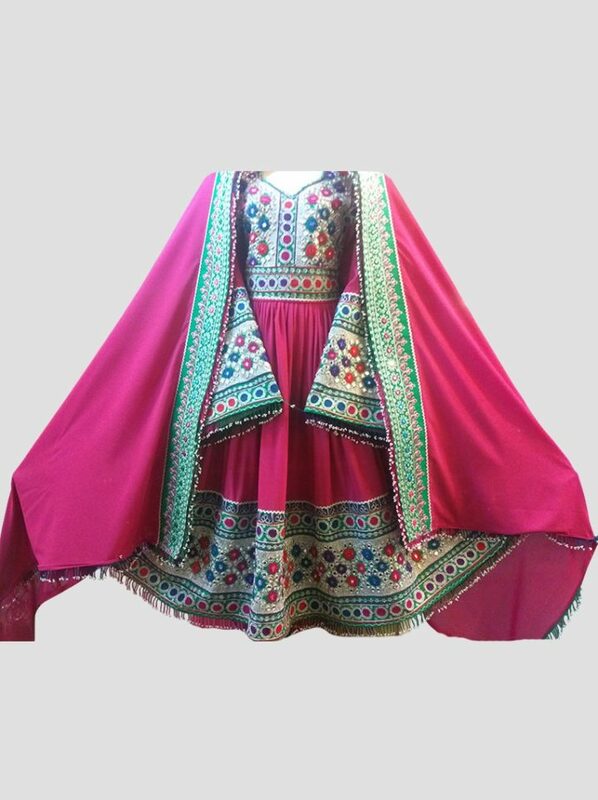 As this full sleeved traditional frock comes with a matching Shawl (Dupatta). Allowing you to make your day even special, by wearing a one of kind dress. 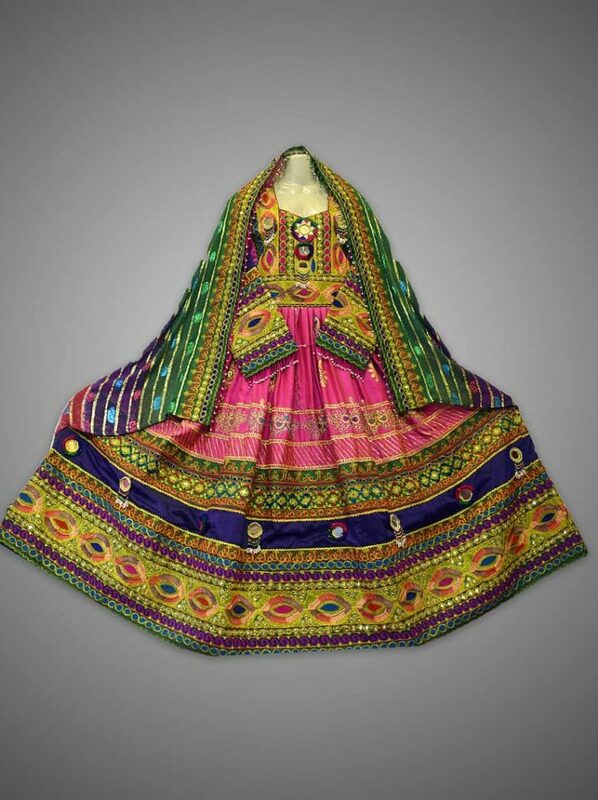 The perfect dress for an Afghan lady.